Above mentioned controller and power supply are included into attenuator kit with code ending "+CP". This variable attenuator/beamsplitter consists of UV FS Thin Film Brewster Type Polarizer diameter 50.8 mm, which reflect s-polarized light while transmitting p-polarized light, that is housed into Beamsplitter Mount 840-0056-12 and a quartz Zero Order (optically contacted) Half Waveplate diameter 25.4 mm (for femtosecond applications) or Zero-Order Air-Spaced Half Waveplate (for high power applications) housed in rotating Polarizer Holder 840-0190-01, placed in the incident linearly polarized laser beam. 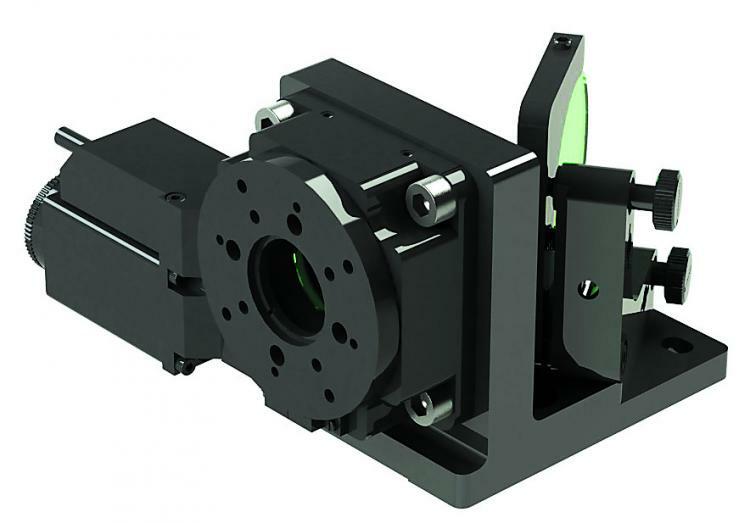 840-0056-12 Kinematic Mount allows to adjust angle of incidence (AOI) of the thin film Brewster type polarizers by ±4.5° and to get the maximum extinction contrast. The mounts are on rods, rod holders and movable base 820-0090. 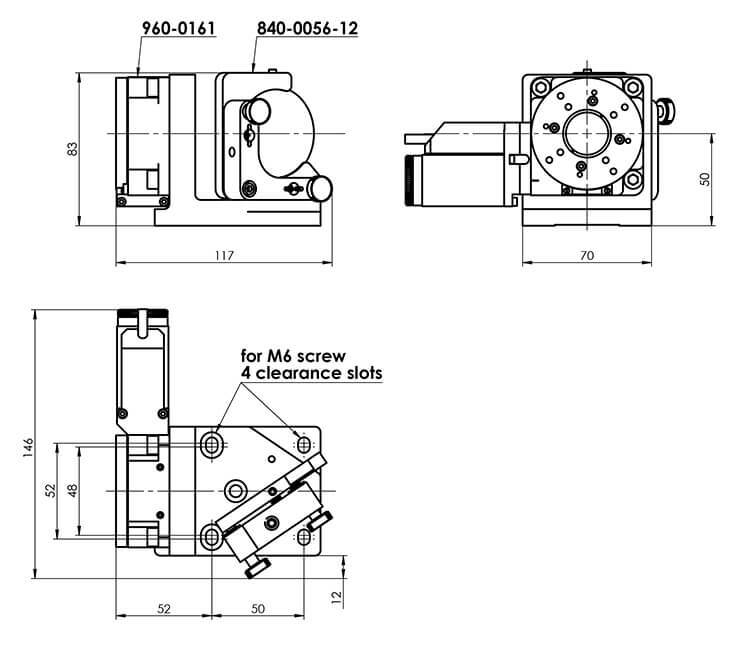 The optical axis height from the table top can be adjusten in the range of 78-88 mm. Other height can be offered as custom changing the standard rods and rod holders into higher.